For beginners, one day workshops, for advanced students one to three day intensive workshops. 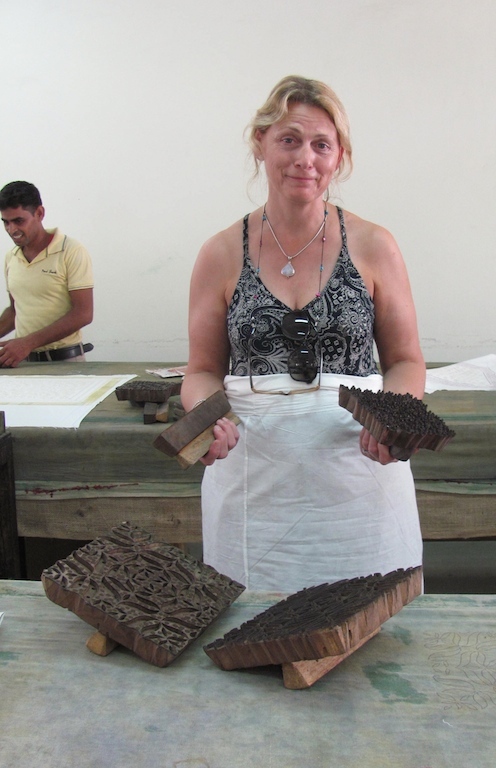 Come to India, learn all about traditional block print techniques with local specialist Andrée Pouliot, alongside fellow textile enthusiasts and artists. 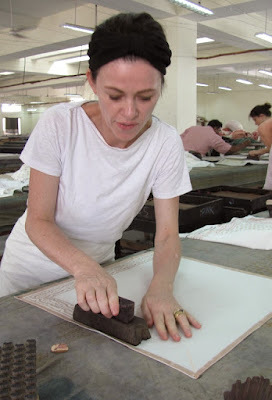 Andrée's small group sessions offer personalized mentored workshop attention and guided explorations to see Jaipur’s famous hand printing textile workshops. Sessions include hands-on workshops in the art of wood block printing, and clay paste resist printing. Guided walks through Jaipur’s Old Walled City lanes and markets are personalized for you to discover traditional artisans working in embroidery, jewelry and gem markets, lac bangles, carved stone and metal craft. 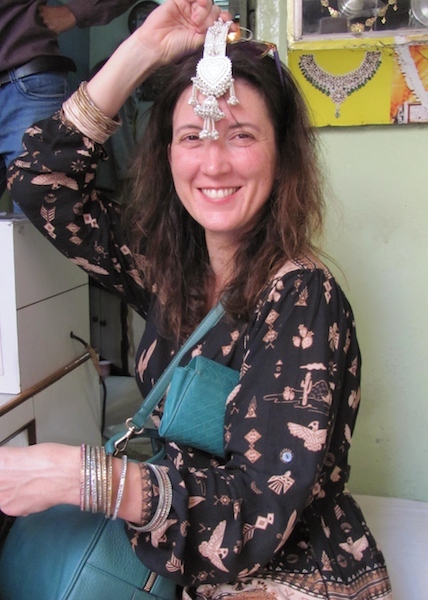 Also see traditional handmade rag paper workshops near Jaipur, and hand painted Jaipur Blue Pottery. There will be shopping! and there will be elephants. Fun was had by all! And everyone went home with their own hand block printed napkins, tablecloths and cushion covers. 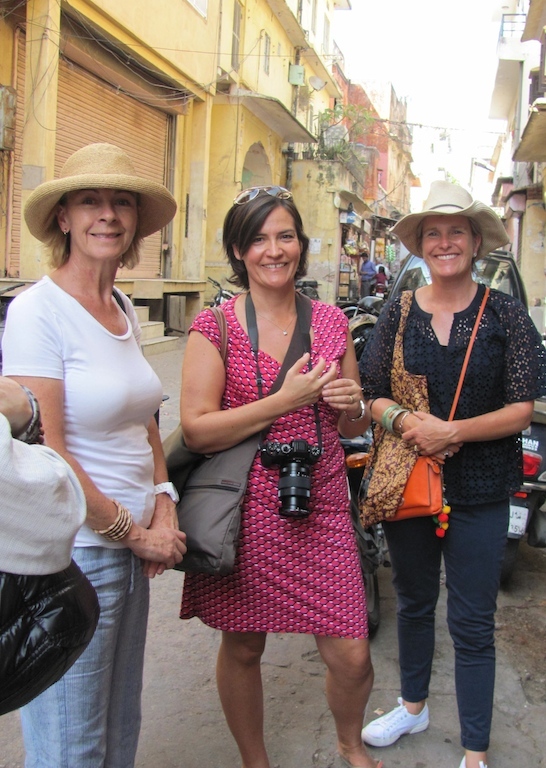 In October Andrée lead one of her Jaipur Elite Tours for a group of eight from Hong Kong. We enjoyed a guided walk into the back lanes of the Old City to find bangle artisans, gem dealers and lots of bling, visiting the rooftop of a traditional Old City home and ending at a famous saree store for draping lessons!